It’s hard to believe it’s that time of year already, but here we are again at the conclusion of yet another year, with lots of great music to reflect back upon. That’s right, it’s time for our annual list: the top Christian Songs of 2012! The ranking is provided by Billboard magazine (ranked by radio airplay audience impressions). We hope this list of 2012’s best in Christian music will be a blessing to you! This year’s Top Christian Songs of 2012 showed a return of some of the longstanding Christian bands/artists of years past like Mercy Me and Jeremy Camp. It’s also been a year of new songs, with powerful themes about the strength of God’s love for us and His incredible mercy and grace. Did any of these songs speak to you in your life in a special way? Were any of your favorites missing from this top 10? Any guesses which bands/artists will make next year’s list? Let us know in the comments below! If you enjoyed this listing, please ‘like’ it below to share it with your friends. You may also like the Top Christian Songs of 2011, 2010 and 2009! Next post OK to Use a Coupon on a Date? Oh My Lord! God Bless you all. Amazingly awesome! More Christian songs and more declaration of Faith. Go On!!! Let the world hear our belonging to the ONLY TRUTH: JESUS-CHRIST! I am in tears. We are all HIS children! You are standing by the Lord and this is why HE will NEVER forsake YOU ALL! Just amazing!!!. 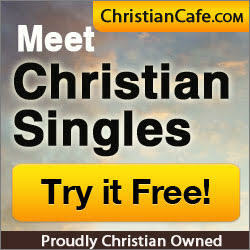 I Any Love Christian music So I Love All The Songs On This Website.I Love Jesus Christ. I Love Jesus Christ..
All the band people, I believe all the bands shown above is not blessed. For example: If a patient gets fever, the doctor not only checks the fever but he will find from where it is coming from. The doctor will see the root. If you see the root of this bands you won’t see the holy spirit. These band people are trying to imitate the worldly music which is demonic. Don’t show yourself, lift JESUS up then he will lift you up. It doesn’t mean not to worship God with music. Some of my favorite bands. DON’T READ THE BIBLE BUT STUDY THE BIBLE. FIND JESUS IN WHICH YOU ARE READING. GOD BLESS YOU. If we are Christian, why do we judge others, are that blind? Lord have mercy on our souls. to God be the glory forever & ever. I love you JESUS…… all christian songs was dedicted to you…. Awesome Christian music. Christian rock has great rhythm and lyrics. Good job….continue to find Jesus and the truth held within the Gospels. We need a song on The Gospel of John Chapter 6 about the greatness of Jesus’ body and blood for us to eat and drink! GLORY TO GOD ! JESUS IS LORD! best compilation GOD Bless all of you! god thak you for the life thatyou give god plz bless mystud so that iam the top 1 in our class. Awesome God!!!! He doesn’t judge he brings liberty and freedom those who are under judgement are not ready to recieve the love of Christ!He is waiting to recieve you and pour his love into your life.Just like a Father waiting for his child to come home. Jesus is unrivalled and I love him. Trust unto the Lord and he shall guide your path. seek ye first the kingdom of God and his righteousness and everything shall be added unto u. Thanks for Those Wonderful Songs..
How to download is some problem..
Hi, I am Leon from “The Natives”. We are a Sydney-based collective of six songwriters that formed out of a 2 year Songwriting course at Hillsong College, we hail from all across the globe (South-Africa, Singapore,California, Seattle, Sydney, Tasmania & Switzerland) with a heart to bring strength to local churches everywhere, we are currently embarking on our debut worship album “Rumours of Hope”, that is releasing on iTunes tomorrow on the 12.Feb. If you would be interested to do a Review on our Album, it would be highly appreciated! Why are the songs are time out, i want to listen to know it before i will recommend the singer. Dear Rosemary, which videos are timing out? I cannot locate a problem in the page. Could you try to refresh the page and try to load the videos again, refreshing the page might fix the “problem” on your end. Please let me know. Thank you for everything oh god,you are my savior and happiness.